When the strong outer layer of an intervertebral disc rips or tears it is known as an annular tear. The intervertebral disc is the strong ligament that connects one vertebra to the other. Each year millions of Americans are involved in car accidents. They happen for a number of reasons and result in a wide range of injuries and consequences. Back and spinal injuries are among some of the most common types of injuries an auto accident victim can face. When the injury is severe, the results can be devastating to both the victim and their family. One such type of spinal injury is an annular disc tear. While this type of injury often results from the natural aging process, it can be caused by a traumatic injury, like being involved in a car accident. What is an Annular Disc Tear? When the strong outer layer of an intervertebral disc rips or tears it is known as an annular tear. The intervertebral disc is the strong ligament that connects one vertebra to the other. The shock-absorbing cushions between each vertebra are the discs. Each of these discs has a very strong outer ring of fibers known as the annulus fibrosus. These discs are important because they provide support to the bone structure for the neck and back. In addition, they act as shock absorbers of the spine and body for a person’s everyday movements. An annular tear occurs if there is too much stress placed on the disc by either the routine stresses of everyday life or by a traumatic event, such as a car accident. The vertebral end-plate that is above and below the disc. The nucleus pulposus, the inner part of the disc made of soft cartilage. The annulus fibrosis, the outer shell of hard, fibrous cartilage, is flexible and allows movement and holds the vertebrae together. The nerves around the outer edge of the disc. Injury can occur on the outer part of the disc, the annulus fibrosis, causing a tear. The nucleus pulposus then pushes out of the tear causing a herniated disc. When it pushes out, it pushes the surrounding nerve fibers causing pain, tingling sensations, or numbness. When a car accident trauma results in annular tears in the spinal discs, victims usually exhibit symptoms of pain in the back and the legs and pain that increases while sitting. It is not unusual for annular tears to show up on MRIs and may require a discography test or a discogram to diagnose the extent of damage to the disc. Many people find that the pain is worse when sitting compared to standing. When a person sneezes, coughs, or lifts an object, these positions can load pressure onto the disc and aggravate the symptoms. 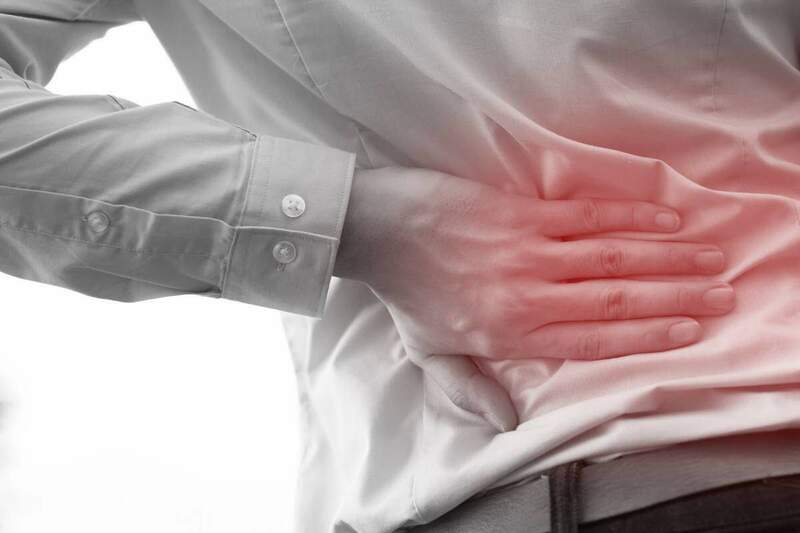 After suffering a back injury in an auto accident, it is important that you seek immediate medical attention. If you find that your back or neck pain increases in the days, weeks or even months after the accident, it is important that you keep a written record of your pain and symptoms. Be sure to note when you feel an increase in pain or intensity. Once a person has been diagnosed with an annular disc tear by either MRI scan or discography test, they will likely be prescribed a physical therapy program. This may be in addition to anti-inflammatory medication, pain medication, low-impact exercises, and rest. Most people find pain relief through these treatments over the course of weeks or a few months. However, if the pain persists, there may be other treatments necessary. A spine specialist may recommend surgery or other advanced treatments. If you or a loved one have suffered a back or neck injury to the negligence or carelessness of another person, you deserve to receive all of your compensation. Monetary compensation cannot erase the effects of a physical injury after a car accident. However, it can help provide the necessary tools to help you or a loved one recover. Our sole focus is on helping the victims of motor vehicle accidents receive full and fair compensation. We never rush to settle your case for less than its full value. We do not hesitate to take cases to court when insurers won’t treat you fairly. Call our 24-hour call center at (314) 361-4242 or fill out our online contact form to request your FREE consultation.